2019 Land Rover Range Rover Sport SE Price Displayed Includes Financial Lender Incentive, Trade-In Incentive, and other applicable rebates. See dealer for details. Buyers outside the Omaha metro area may be subject to a $385 Out of State Security and Compliance Fee. 2019 Land Rover Range Rover Sport SE Activity Key, Advanced Tow Assist, Blind Spot Monitor w/Closing Vehicle Sensing, Drive Package, Driver Condition Monitor, Tow Hitch Receiver, Towing Package, Traffic Sign Recognition & Adaptive Speed Limiter. 22/28 City/Highway MPG Price Displayed Includes Financial Lender Incentive, Trade-In Incentive, and other applicable rebates. See dealer for details. Buyers outside the Omaha metro area may be subject to a $385 Out of State Security and Compliance Fee. 2018 Land Rover Range Rover Sport HSE Adaptive Cruise Control, Blind Spot Assist, Drive Pro Package, Exterior Parking Camera Rear, Fully automatic headlights, Head-Up Display, Heated front seats, Heated rear seats, High intensity discharge headlights: Bi-Xenon, Lane Keep Assist, Memory seat, Navigation System, Power driver seat, Power passenger seat, Radio: Meridian Surround Sound System (825W), Remote keyless entry, Sliding Panoramic Roof, Steering wheel memory, Steering wheel mounted audio controls, Ventilated front seats. Awards: * ALG Residual Value Awards Price Displayed Includes Financial Lender Incentive, Trade-In Incentive, and other applicable rebates. See dealer for details. Buyers outside the Omaha metro area may be subject to a $385 Out of State Security and Compliance Fee. 2019 Land Rover Range Rover Sport HSE Price Displayed Includes Financial Lender Incentive, Trade-In Incentive, and other applicable rebates. See dealer for details. Buyers outside the Omaha metro area may be subject to a $385 Out of State Security and Compliance Fee. 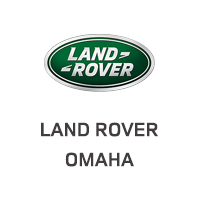 2019 Land Rover Range Rover Sport HSE 22/28 City/Highway MPG Price Displayed Includes Financial Lender Incentive, Trade-In Incentive, and other applicable rebates. See dealer for details. Buyers outside the Omaha metro area may be subject to a $385 Out of State Security and Compliance Fee. 2019 Land Rover Range Rover Sport Price Displayed Includes Financial Lender Incentive, Trade-In Incentive, and other applicable rebates. See dealer for details. Buyers outside the Omaha metro area may be subject to a $385 Out of State Security and Compliance Fee. 2019 Land Rover Range Rover Sport Supercharged 4-Zone Climate Control, Adaptive Cruise Control w/Stop & Go, Blind Spot Assist, Climate Comfort Pack, Drive Pro Package, Front Center Console Refrigerator Compartment, Heated Steering Wheel, High Speed Emergency Braking, Lane Keep Assist. Price Displayed Includes Financial Lender Incentive, Trade-In Incentive, and other applicable rebates. See dealer for details. Buyers outside the Omaha metro area may be subject to a $385 Out of State Security and Compliance Fee. 2019 Land Rover Range Rover Sport HST 3.0L I6. Price Displayed Includes Financial Lender Incentive, Trade-In Incentive, and other applicable rebates. See dealer for details. Buyers outside the Omaha metro area may be subject to a $385 Out of State Security and Compliance Fee. 2019 Land Rover Range Rover Sport Supercharged Price Displayed Includes Financial Lender Incentive, Trade-In Incentive, and other applicable rebates. See dealer for details. Buyers outside the Omaha metro area may be subject to a $385 Out of State Security and Compliance Fee.